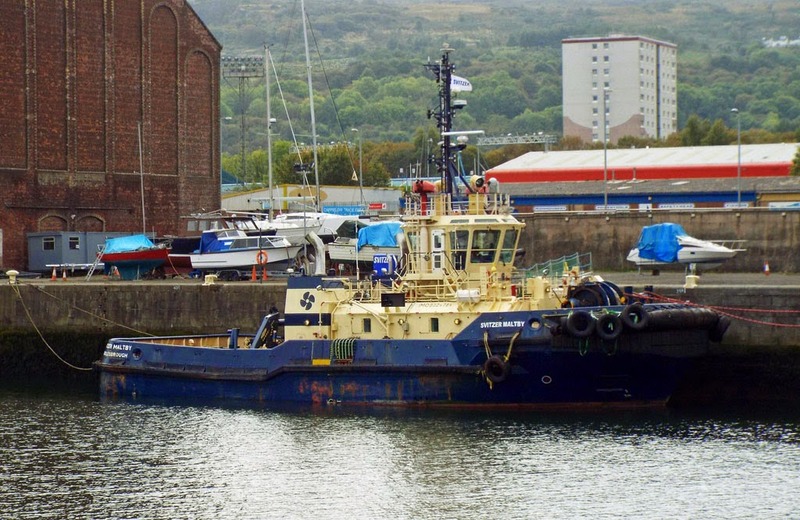 More commonly found on the Tyne, tug Svitzer Maltby is currently on the Clyde covering for Svitzer Milford 14 September 2014. 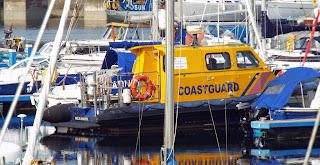 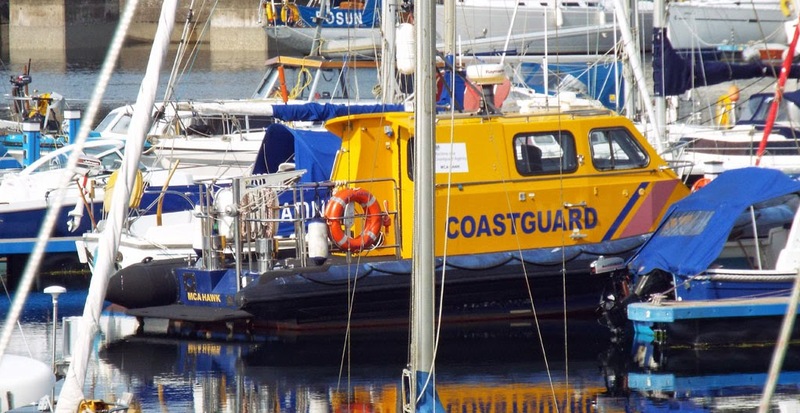 Maritime and Coastguard Agency's Pacific 32 MCA Hawk in Clyde Marina 13 September 2014. Griffin Towage & Marine's tug Kingston (with Baars' split hopper barge B301) in Ardrossan Harbour 13 September 2014. 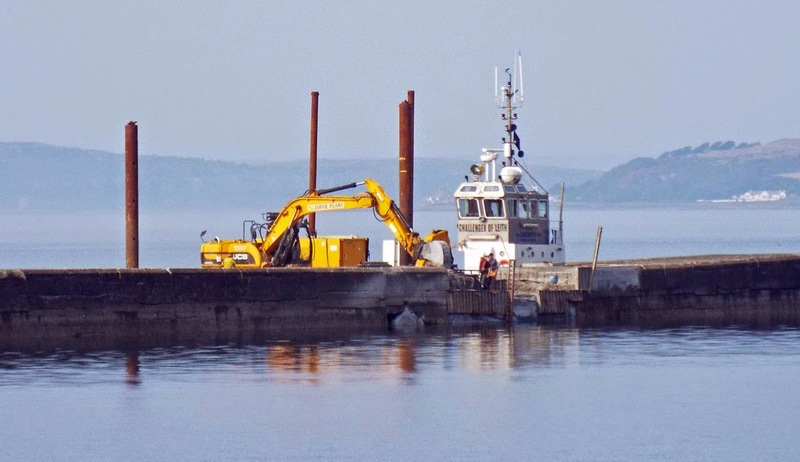 Coastwork's multicat Challenger of Leith employed in repairs to the breakwater at the mouth of Ardrossan Harbour 12 September 2014. 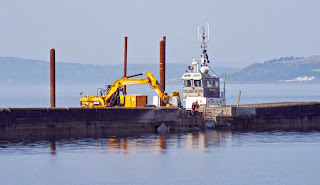 Caledonian Macbrayne's relief Arran ferry Isle of Arran leaves Ardrossan on service 13 September 2014.